Enhance the interface functionality of Laravel with brilliantly coded tool, “Menu Manager”. This PHP based tool comes with the optimized and well-tested code to render the quicker loading and superb experience. It has been designed to ease the way for web app developer to design simple-to-understand menu. Moreover, the end-users have the option to organize the menu effectively. In a nutshell, Quick Menu Manager has been programmed to add, delete, edit as well as reorder the menu at the utmost ease. Quick Menu Manager is designed with a superb facility that enables the developers to integrate this tool with Laravel with the utmost ease. This Laravel PHP based tool comes with clean coding that ensures the superb performance. And also, makes it easy to manage for the web developer. Quick Menu manager is provided with Drag & Drop function that quickens the way for the end-users to manage and design the menu option. Comes packed with the amazing documentation that eases the way the designers to understand how to use this tool in an effective manner. The designers have the capability to customize menu interface brilliantly as per their requirements. This ensures the better prospects for the business. 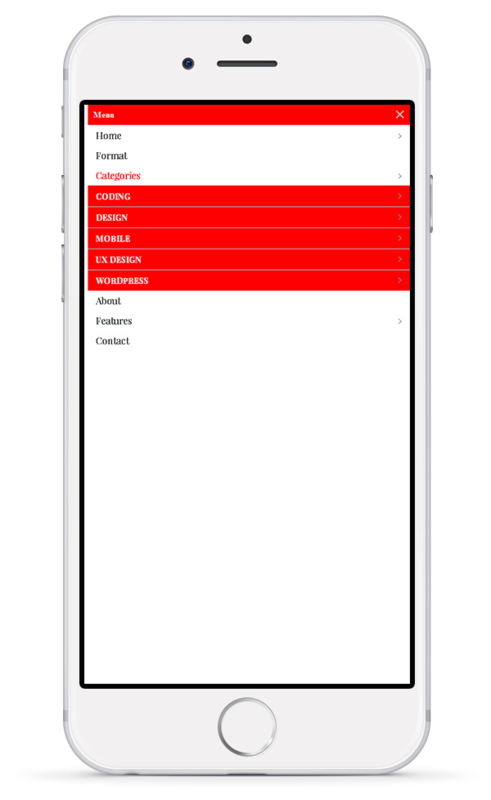 CSS Driven Menu style enables the designers to craft the superb menu that provides a uniform display (as it was designed) on all the mobile devices. With Quick Menu manager, it is easy for the developer to prepare the complex menu with a nested list generation. 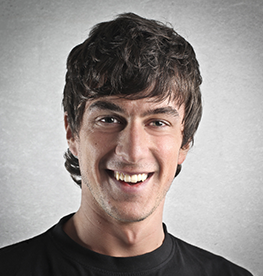 The developers can assign different CSS for every menu so that they can craft the design for menu easily. 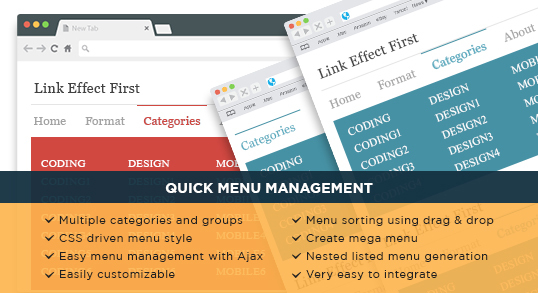 By using this PHP base menu tool, it is easier for the designers to manage different features of the menu. The developers have the option to sort all the menu options with a few clicks by using Quick Menu Manager. In order to render instant menu management, the Quick Menu Manager tool comes enabled with jQuery. Requires minimal maintenance because this AJAX based tool comes with neat & clean coding and superb architecture.